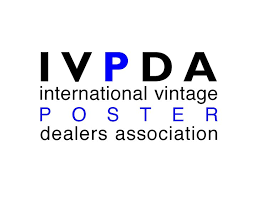 Posterteam is a dealer of original vintage posters with clients all over the world. We only sell original posters. We offer vintage posters from all over of the world and ship worldwide. Retro posters from the time. Art deco, Pop art, airline posters, ski posters, travel posters, etc. You can find many beautiful vintage posters that can be a meaningful part of a modern interior, with eye catching themes, color, contrast, mood and exclusivity. Emotional connections to the design is often a case when people choose a original vintage poster. Feel free to subscribe to our poster alerts! Get the news about newly listed posters first! Send us questions, comments or requests. We also buy original vintage posters. Just send us an email. Follow our blog for thoughts and insights about vintage posters. Subscribe to our poster alerts! Be the first to know when we add new posters.